Elmer/Ice is an o pen-source high-fidelity ice dynamic code developed at CSC-IT Center of Science. It utilizes the Finite Element Method and doesn’t apply any simplifications in terms of neglected stress components, which makes it applicable to glaciological problems where common ice-sheet codes are unable to capture the physics of steeply inclined or marine terminated glaciers. Gagliardini, O., T. Zwinger, F. Gillet-Chaulet, G. Durand, L. Favier, B. de Fleurian, R. Greve, M. Malinen, C. Martín, P. Råback, J. Ruokolainen, M. Sacchettini, M. Schäfer, H. Seddik, and J. Thies, 2013. 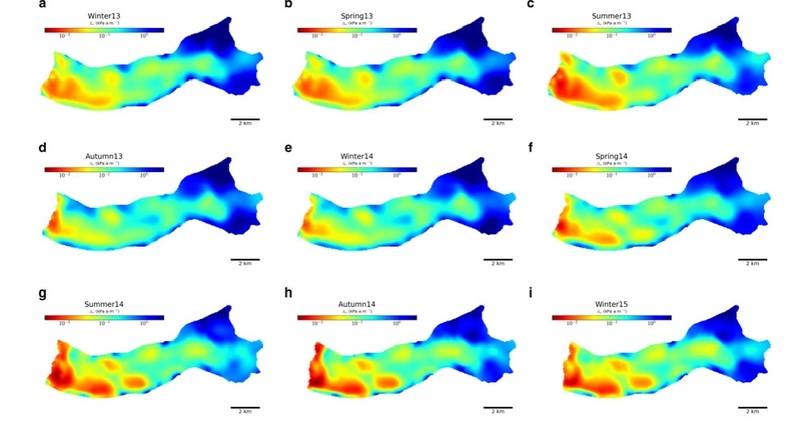 Capabilities and performance of Elmer/Ice, a new-generation ice sheet model, Geosci. Model Dev., 6, 1299-1318, doi:10.5194/gmd-6-1299-2013. eSTICC contributed to unfinished activities from the NCoE SVALI by continuing and finalizing the projects listed below. Those activities were mainly focused around the high-fidelity ice sheet model Elmer/Ice. Most of these projects helped to finalize the PhD studies of students that either were working within or were supported by SVALI. Vallot, D., R. Pettersson, A. Luckman, D. Benn, T. Zwinger, W.J.J. van Pelt, J. Kohler, M. Schäfer, B. Claremar and N.R.J. Hulton, 2017. Basal dynamics of Kronebreen, a fast-flowing tidewater glacier in Svalbard: Non-local spatio-temporal response to water input, Journal of Glaciology, 1-13, doi:doi:10.1017/jog.2017.69. Benn, D.I., J. Åström, T. Zwinger, J. Todd, F.M. Nick, S. Cook, N.R.J. Hulton, and A. Luckman, 2017. 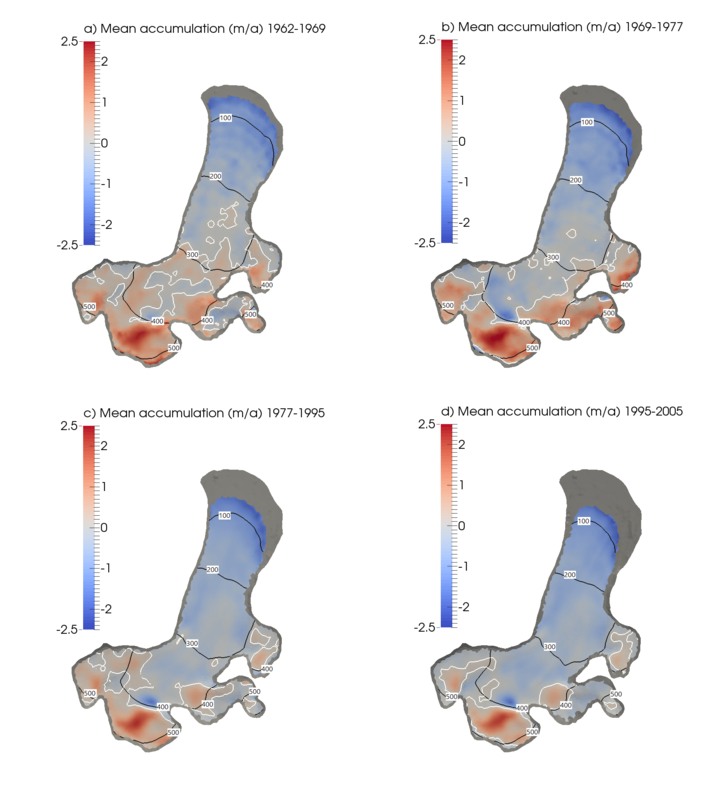 Melt-under-cutting and buoyancy-driven calving from tidewater glaciers: new insights from discrete element and continuum model simulations, Journal of Glaciology, 1-12, doi:10.1017/jog.2017.41. Einarsson, B., T. Jóhannesson, T. Thorsteinsson, E. Gaidos, and T. Zwinger, 2017. 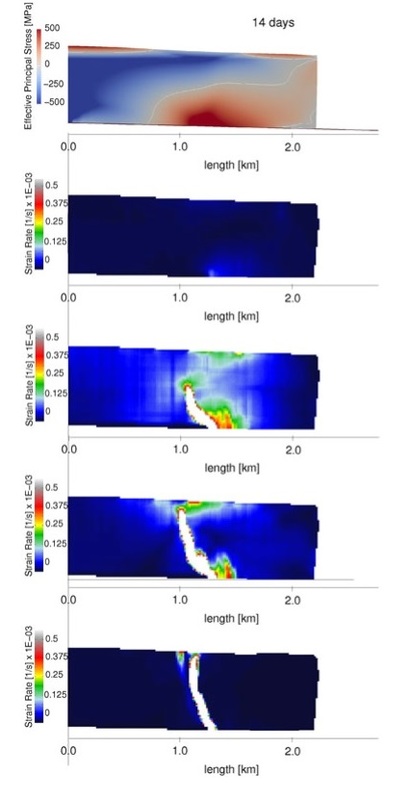 Subglacial flood path development during a rapidly rising jökulhlaup from the western Skaftá cauldron, Vatnajökull, Iceland, Journal of Glaciology, 1-13, doi:10.1017/jog.2017.33. Välisuo, I., T. Zwinger and J. Kohler, 2017. Inverse solution of surface mass balance of Midtre Lovénbreen, Svalbard, Journal of Glaciology, 1-10, doi:10.1017/jog.2017.26. Ahlkrona, J., P. Lötstedt, N. Kirchner, and T. Zwinger, 2016. 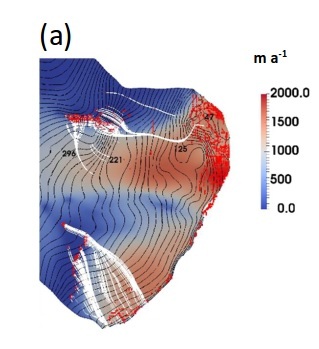 Dynamically coupling the non-linear Stokes equations with the shallow ice approximation in glaciology: Description and first applications of the ISCAL method. J. Comp. 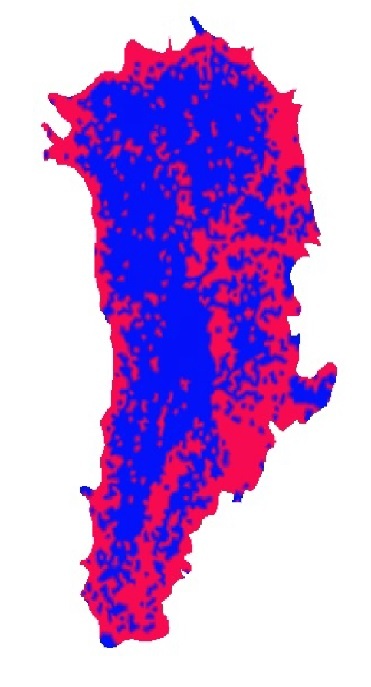 Phys., 308, 1-19, doi:10.1016/j.jcp.2015.12.025.